Now, PEN India Ltd chairperson, Jayantilal Gada’s devotion towards performing arts has forced international entities to sit up and take notice. The film world used to respect his contribution towards cinema so far. Now, PEN India Ltd chairperson, Jayantilal Gada’s devotion towards performing arts has forced international entities to sit up and take notice. 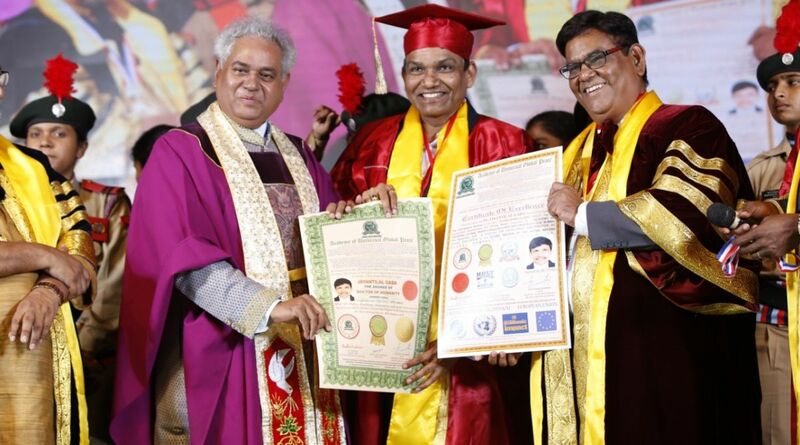 The Academy of Universal Global Peace (AUGP), which is affiliated with the United Nations University for Global Peace, and Holy Angels College, has conferred Jayantilal Gada with an honorary doctorate degree. He has also been ordained as the ambassador of AUGP for peace and humanity in India. The convocation ceremony was held in the city on September 1, at Dinanath Mangeshkar Auditorium, Vile Parle. The degree was presented to Jayantilal Gada by Dr Prof Madhu Krishan Governor, AUGP. 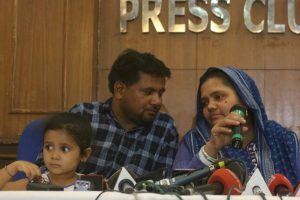 Renowned actor-filmmaker Satish Kaushik and the entire Gada family was present for the ceremony. “When the AUGP reached out to me to honour me with a PHD, I was surprised as well as touched. I will ensure that I live up to all the expectations that people will have from me as the ambassador for AUGP for peace and humanity. Becoming Dr Jayantilal Gada from Jayantilal Gada feels overwhelming. I’m grateful that I was considered for the honour,” says the producer. By highlighting women’s empowerment in Eela and Kahaani, Jayantilal Gada showed his dedication towards highlighting social messages in films. After receiving a PHD, which has made him an ambassador for peace and humanity, he is sure to make more impactful films. “I realise how my responsibilities have increased and I promise to make films that inspire people and spread social messages,” says Jayantilal Gada.